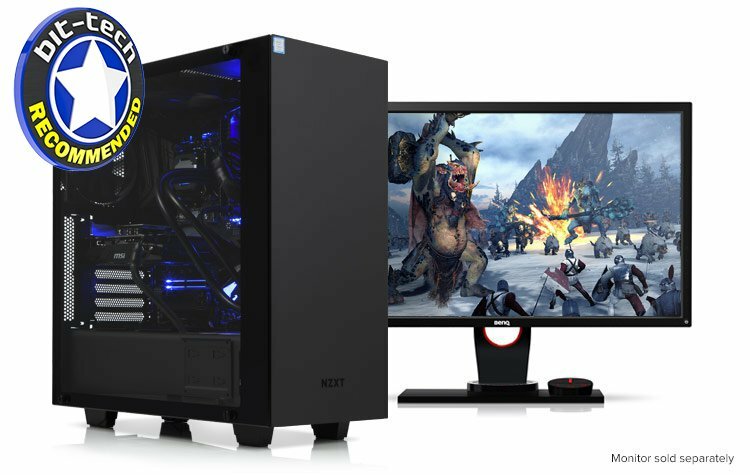 Bit-tech this week wrote an in-depth review of one of our newest Gaming PCs featuring the brand new Intel 8th Gen Processor and Gigabyte Z370 Motherboard. They dove into benchmarking it against other fairly similar PCs on games such as Deus Ex: Mankind Divided, Fallout 4 and also 3D Mark Time Spy, albeit against PCs with a better performing Graphics Card which you can add to the PC by customising it yourself. They also cover other things such as how it handles content creation, storage performance and it's power consumption. Here is the conclusion of the review with a link to the review itself. You might be surprised to learn that building this same system yourself could actually cost you a little more than what Novatech is offering it for. Sure, you might be able to save money in certain areas by really shopping around or by choosing cheaper variants of the products here, but the cost of this hardware plus Windows on a popular retailer's website came to over £1,715 at the time of writing. And that, of course, doesn't take into consideration the time need to build and overclock it, nor would you have a system-wide warranty with decent terms. So, what's the catch? As far as we can see, not much. The warranty is bettered by some competitors like OCUK, and the CPU is a tad hot, but performance never falters. The size of the graphics card did worry us, but noise from the fan proved not to be an issue. A Core i7-8700K could also be considered overkill, but thread count is becoming more important as people take to game-streaming and content creation, for example. Besides, if you wanted a quieter GTX 1070 and a Core i5-8600K, the customiser allows for this. The overclock is stable, the system is professionally assembled, and it even looks the part too thanks to unified, single-colour lighting across the motherboard, which is easily changed if you want. In fact, we can't really think of anything we'd change here in terms of how this set of hardware is put together other than perhaps having the HDMI cable routed properly and saving the OC profile. Nonetheless, with six cores and 12 threads running at 4.8GHz, a GTX 1070 capable of smooth ultra-detail 1440p gameplay, and an SSD that can transfer at over 3GB/s, the Elite 109 is a great system at a fantastic price.